Contractors specializing in Carlisle SynTec Roofing, Commercial Roof Repair, Commercial Roof Construction, and all other Carlisle SynTec Commercial Roofing Services in CT. Call 1-888-766-3020 for a Free Quote. Carlisle SynTec has led the single-ply membranes industry for over 45 years in product innovation, customer enthusiasm, and system integrity. Carlisle SynTec is committed to providing the best long-term single-ply roofing systems, services and warranties in the commercial marketplace. Carlisle SynTec offers a variety of commercial roofing solutions like EPDM Roofing Systems, TPO Roofing Systems, PVC Roofing Systems, and FleeceBACK® Roofing Systems. New Roof Connecticut’s licensed and insured roof contractors have years of experience using Carlisle SynTec roofing materials in New Haven, Fairfield, Hartford, Tolland, Middlesex, New London, Windham and Litchfield County. We service all types of buildings and market segments including commercial offices, government buildings, medical offices, hospitals, schools, banks, industrial buildings, residential homes, commercial buildings, housing associations, and apartment buildings. Call New Roof Connecticut 1-888-766-3020 to learn about our Carlisle SynTec roofing solutions or request a Free Commercial Roofing Quote. EPDM single-ply membranes have been leading the commercial roofing industry as the most popular roofing materials for the past 50 years. Carlisle SynTec offers the most diverse, versatile and innovative line of EPDM membranes and accessories on the market. 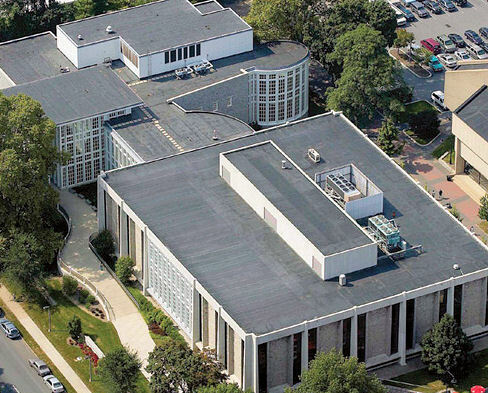 If you need a sustainable, long-lasting rooftop then Carlisle SynTec EPDM is your best option, with nearly a half-century track record of performance and durability. Thermoplastic polyolefin (TPO) is the fastest growing segment of the commercial roofing industry, and Carlisle is the leading supplier of this type of roofing material. Carlisle’s white and tan Sure-Weld® TPO membranes are ENERGY STAR®-rated and Cool Roof Rating Council (CRRC)-certified, and have been directly attributed to a reduction in energy use and cooling costs for buildings in warm, southern climates. Polyvinyl Chloride (PVC) is a trusted membrane that has been performing admirably for decades in North America. Another option for reflective roofing, Carlisle's Sure-Flex™ PVC membranes are ENERGY STAR®-rated and CRRC-certified, offering building owners the potential for decreased cooling costs. Sure-Flex PVC also offers excellent resistance to rooftop chemicals, including acids, oils and greases. For more information about Carlisle SynTec Roofing Solutions visit the Official Carlisle SynTec Website or contact our Roofing Experts 1-888-766-3020 for more information. Please also feel free to request a Free Commercial Roof Quote.